That depends on which side of the Atlantic Ocean you live. From the perspective of an English speaker it’s crystal clear. It has to be Petra’s Blog. Not if you live in Germany or sit in your German class and try to solve the mystery of the apostrophes in the German language. If you’ve ever had a chance to stroll through a German city you might have seen signs like: “Otto’s Wurstbude”, “Heidi’s Geschenkladen” or “Helga’s Hähncheneck”. To place an apostrophe there became acceptable but is it correct? If we take a look at the Duden, the leading German dictionary, we’ll see that the apostrophe is typically used to indicate that one or more letters in a word have been left out. Is that the case if Otto owns a Hot-Dog-Stand. Here’s how it would be correct, if Franz and Horst meet at the Hot-Dog-Stand. Franz: Hallo Horst. Wie geht’s dir und wie gehts deiner Frau? Horst: Danke gut, aber lass uns erst einmal zu Otto‘s Wurstbude oder zu Heidis Hähncheneck gehen. Ich habe einen Mordshunger. Franz: Was gibt’s Neues? Haste mal wieder Zeit für ʼnen Männerabend? Horst: Alles beim Alten. Hätt schon Lust auf ʼnen Männerabend. Franz: Ja, klar. Aber jetzt brauche ich ʼne Knackwurst. Let’s go over the most important rules. is optional ⇒ when the pronoun “es“ gets reduced to an “s“ due to colloquial language e.g. Wie geht’s dir? (Wie geht es dir?). Optional: Ottos Wurstbude⇒ when the indefinite article “ein/eine” gets abbreviated to “n” e.g. So ’n schöner Tag. Haste mal ‘nen Euro? Ich brauch ‘ne Knackwurst. should never be placed ⇒ in front of the -s that comes with the Genitive case e.g. Hamburgs Hafen, Petras Blog, DVDs, Annas Onkel etc. ⇒ to indicate the Genitive case of names ending in -s, -ss, -ß, -tz, -z and x. 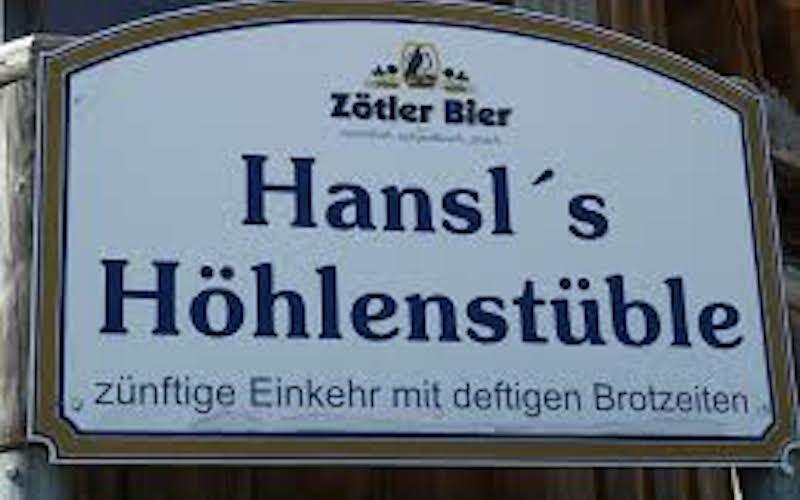 For example: Götz’s Onkel, Hans’s Bratwurst.